Samba at Marquinhos - Learn Portuguese and discover Brazil. 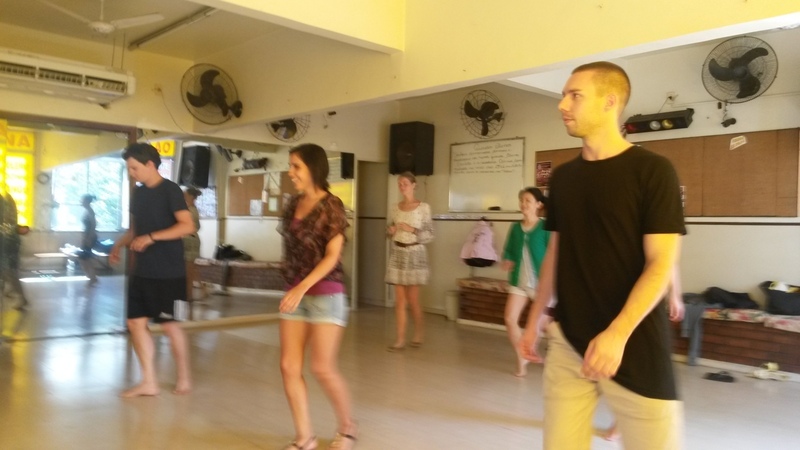 Yesterday our Portuguese language students enjoyed samba at Marquinhos Copacabana with the fun teacher Ramon. 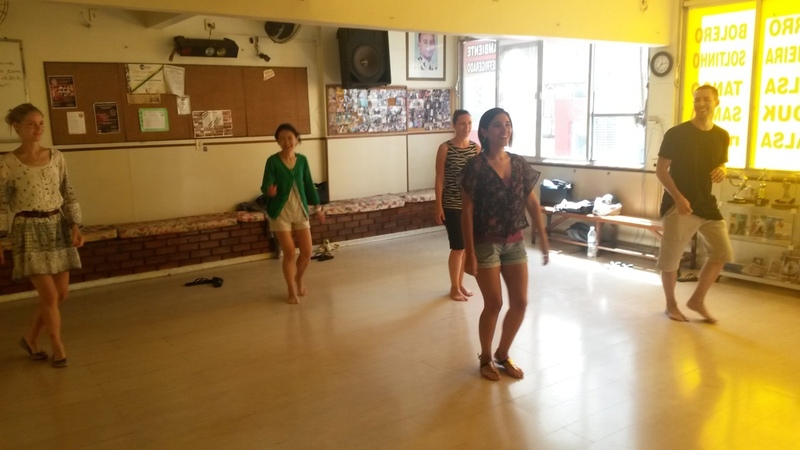 Our students came to the class with the thoughts that they were not really going to be able to learn samba in one class, but to learn Samba at Marquinhos Copacabana is very easy and our students were able to dance once the class finished. We had six students dancing samba that were from different countries, Switzerland, Japan, Canadá, Perú and Germany. Ramon asked at the beginning of the class if anybody didn’t understand Portuguese, but all our students said to him that not problem, so all the class was in Portuguese language and without any translation. The star of the day was our student Mati, that was nicknamed by Ramon as Di Caprio after the actor Leonardo DiCaprio. We had lots of lough with this joke because Mati and Ramon are very funny. Even that our male students had some problem at the beginning, everybody worked out and all ot them were dancing very well at the end. After our samba at Marquinhos they are ready for next Friday at Lapa.